Though Derek Jeter earned MVP honors in helping lead the American League to a 6-3 victory, the lasting memory from the 2000 Midsummer Classic came from the NL side. With the game being played at Atlanta's Turner Field, Braves slugger Chipper Jones went 3-for-3 and treated the hometown crowd to a mammoth home run in the third inning. 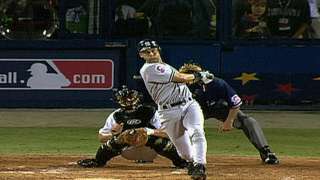 Jeter also went 3-for-3, including a first-inning double off Randy Johnson. a-Lined out for Wells in the 3rd. b-Reached on error for Baldwin in the 4th. c-Struck out for Glaus in the 8th. d-Lined out for Jones, T in the 8th. 2B: Jeter (1, Johnson, R), Delgado (1, Kile), Ordonez (1, Kile). 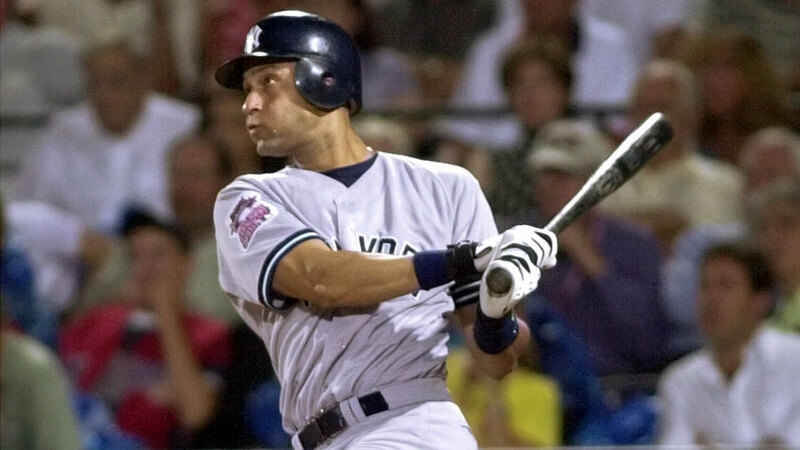 TB: Delgado 2; Durham; Rodriguez, I; Garciaparra; Jeter 4; Fryman; Lawton; Ordonez 2. RBI: Everett (1), Jeter 2 (2), Lawton (1), Ordonez (1), Erstad (1). Runners left in scoring position, 2 out: Giambi 3; Rodriguez, I 2; Garciaparra; Posada. SB: Lawton (1, 2nd base off Hoffman/Lieberthal). E: Garciaparra 2 (2, fielding, throw). a-Flied out for Brown in the 3rd. b-Popped out for Wickman in the 8th. 1-Ran for Galarraga in the 4th. HR: Jones, C (1, 3rd inning off Baldwin, 0 on, 2 out). TB: Jones, An; Guerrero; Lieberthal; Galarraga; Jones, C 6; Finley; Edmonds. RBI: Jones, C (1), Jones, An (1), Finley (1). Runners left in scoring position, 2 out: Alfonzo, Edgardo. E: Larkin (1, fielding), Vidro (1, fielding). Game Scores: Wells 54, Johnson, R 52. Groundouts-flyouts: Wells 1-0, Baldwin 0-1, Sele 2-0, Isringhausen 0-1, Lowe, D 2-0, Jones, T 1-0, Hudson, T 1-0, Rivera 2-0, Johnson, R 2-0, Graves 0-2, Brown 1-0, Leiter 2-0, Glavine 1-1, Kile 4-0, Wickman 0-0, Hoffman 1-1. Batters faced: Wells 8, Baldwin 5, Sele 4, Isringhausen 6, Lowe, D 4, Jones, T 3, Hudson, T 3, Rivera 4, Johnson, R 4, Graves 4, Brown 7, Leiter 7, Glavine 3, Kile 8, Wickman 3, Hoffman 7. Umpires: HP: Mike Reilly. 1B: Mark Hirschbeck. 2B: Wally Bell. 3B: Paul Schrieber. LF: Brian O'Nora. RF: Laz Diaz. Wind: 1 mph, In from RF.